Increasing dependency on AI (Artificial Intelligence) and the (Internet of Things) have given new goals to cloud computing infrastructure administrators. The premises enfolding within this newly emerging subfield of Information and Technology are indeed very vast ranging from smartphones to robotics. Firms are developing new machinery requiring the least amount of dependency on human resources. Developments aimed at providing human-made mechanisms with levels of autonomy to become entirely independent. To gain a level of autonomy over soft resources, developers have begun to depend on a mediator to assist ‘smart machines’ in increasing functional ability. As cloud computing is already taking over essential domains of human efforts such as data storage, this technological advancement will result in unprecedented impacts on the global economy. 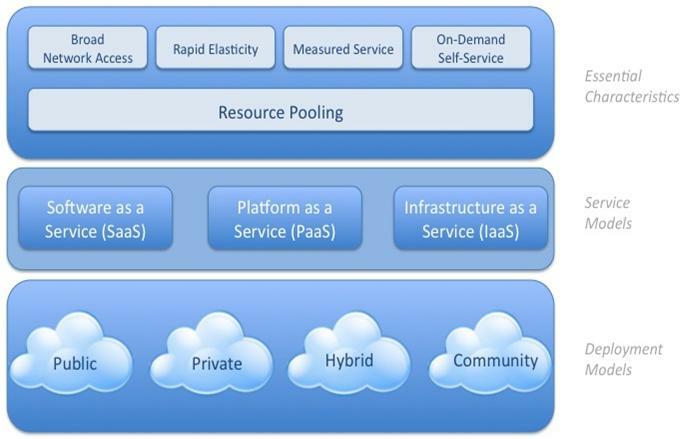 Integrated cloud services can be even more beneficial than current offerings. The contemporary usage of cloud involves computing, storage, and networking; however, the intelligent cloud will multiply the capabilities of the cloud by rendering information from vast amounts of stored data. This will result in quick advancements within the IT field, where tasks are performed much efficiently. The large amounts of data stored in the cloud serve as a source of information for machines to gain their functional state. The millions of functions that are occurring daily in the cloud will provide vast sources of information for computers to learn. The entire process will equip the machine applications with sensory capabilities, and applications will be able to perform cognitive functions, making decisions best suited for them to achieve their desired goal. With the aid of the intelligent cloud, AI as a platform service makes the process of smart automation more accessible for users by taking control of the complexities of a process; this will further increase the capabilities of cloud computing, in return growing the demand for the cloud. The interdependency of cloud computing and artificial intelligence will become the essence of new realities. Just as we are now aware how the IoT has overtaken our lives and created an undeniable dependency on gadgets, cloud-assisted machine learning is almost increasing rapidly. Smart sensors that allow cars to operate in cruise control will grasp their source of data from the cloud only. Cloud computing will become the long-term memory for the IoT where they can retrieve the data for solving in-time problems. The web’s massive of interconnectivity will generate and operate on an enormous amount of data saved in that very cloud; this will expand the horizons of cloud computing. In coming years, cloud-based machine learning will become as meaningful to machines as water is for humans. We have already seen assistants such as Alexa, Siri, Cortana, and Google perform well in the consumer market; it is not absurd to think that an assistant will exist in every modern home by the next decade. These assistants make life easier for individuals through pre-coded voice recognition that also gives a feeling of human touch to machines. Current assistant responses operate on a limited set of provided information. However, these assistants are very likely to be developed more finely so that their capabilities will not remain so confined. Through the increasing use of autonomous cognition, personal assistants will attain a state of reliability where they can replace human interaction. The role of cloud computing will be supremely vital in this regard, as it will become the heart and brain of these machines. The tasks of a future intelligent cloud will be to make the tech world even smarter – autonomous learning coupled with the capabilities of understanding and rectifying real-time anomalies. In the same way, business intelligence will also become more intelligent wherein along with identifying faults, it will be able to predict future strategies in advance. Armed with proactive analytics and real-time dashboards, businesses will operate upon predictive analytics that process previously collected data, making real-time suggestions and future predictions. These predictions from current trends and recommendations for actions would make things easier on leaders. Fields like banking, education, and hospitality will be able to make use of the intelligent cloud, enhancing the precision and efficiency of the services they provide. Consider, for example, having an assistant in hospitals which diminishes doctors’ customary load of decision making by analyzing cases, making comparisons, and promoting new approaches to the treatment. With the rapid development of both machine learning and the cloud, it seems in the future that cloud computing will become much easier to handle, scale, and protect with machine learning. Along with those mentioned above, more extensive businesses relying on the cloud will lead to the implementation of more machine learning. We will arrive at a point in which we will have no cloud service that operates as they do today.